Closeouts. 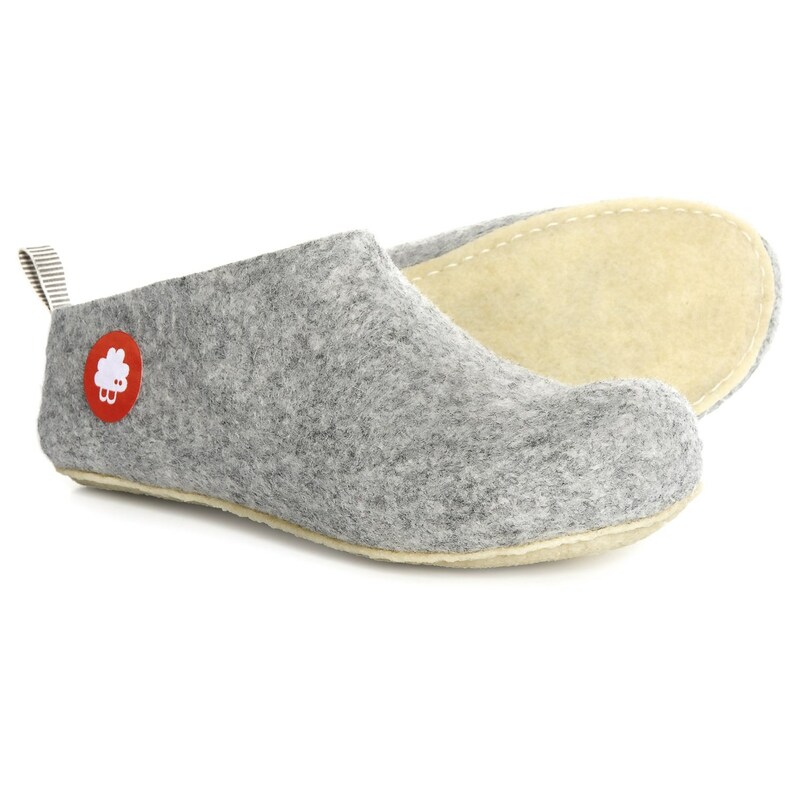 Baabuk’s Gus slippers keep your feet cozy under a thick layer of felted wool. A low-profile crepe outsole lends extra grip on slippery floors.